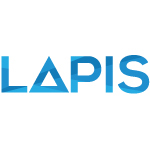 Founded in 2004, LAPIS is a full service, strategic communications agency that is driven by the ethos of betterment and one that specializes in shaping perceptions, attitudes and behaviors. LAPIS is geography and media agnostic, however its efforts are currently focused across the Middle East, North Africa and Central Asia regions, particularly on themes related to nation-building, child health, gender, youth, conflict resolution, irregular migration and CSR-related efforts for brands and organizations. In Afghanistan, LAPIS also offers full service marketing services for international brands.